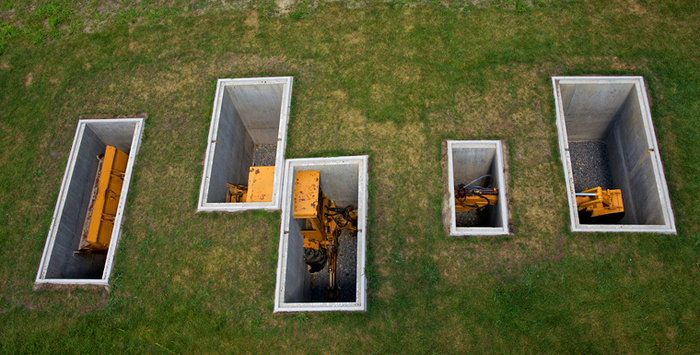 David Brooks, A Proverbial Machine in the Garden, buried John Deere tractor with front loader and backhoe, concrete retaining walls, earth, landscaping, 2013, Changwon Sculpture Biennale, Island of Dot, Changwon, South Korea. Courtesy of the artist. Headlands' Architecture/Environment Residency supports artists as they engage in cross-disciplinary research, exploration, and the development of new work, reinforced by Headlands' unique and renowned creative community. Headlands' commitment to process provides resident artists with the opportunity to push the boundaries of their practices by immersing themselves in and experimenting with their work; engaging with peers working in disciplines such as performance, dance, visual arts, writing, music, and film/video; and connecting with the natural environment of the Marin Headlands. Artists' work is disseminated to the public via dedicated online visibility and promotion, open studio programs, and potential additional public events at Headlands. Additionally, Headlands' Residency Award deeply supports artists' experimentation and the development of new ideas and artworks that go on to public presentation in publications, arts institutions, public space, or other local, national, and international venues. David Brooks was born in Brazil, Indiana, and lives and works in New York City. Embracing a research-based practice, Brooks's work considers the relationship between the individual and the built and natural environments. Understanding that the division of culture from nature is an ideological construction, Brooks examines the causes and effects of ecological crisis and the cultural impasse it represents, and questions the terms under which nature is perceived and utilized. 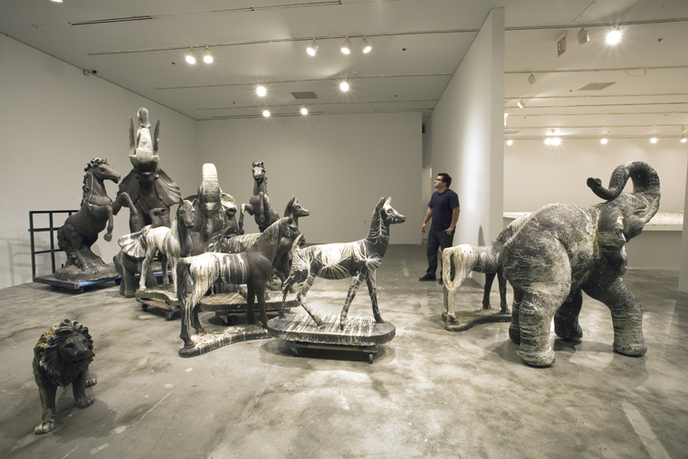 Brooks attended the Städelschule, Staatliche Hochschule für Bildende Künste, Frankfurt am Main, Germany (1998), and earned a BFA from The Cooper Union (2000) and an MFA from Columbia University (2009). His awards and honors include grants from the Explorer's Club, New York (2011) and Foundation for Contemporary Arts, New York (2010). Recent exhibitions and projects include A Proverbial Machine In A Proverbial Garden, Storm King Art Center, New York (2013); and Stress Tests: Un-Sites No. 1-2 & 3-5 (homage to Gordon), NADA New York Special Projects (2013). Brooks is an Assistant Professor of Interdisciplinary Sculpture at the Maryland Institute College of Art; has taught at the Rhode Island School of Design; and has been a Visiting Professor at Parsons The New School for Design. London-based artist Nils Norman works across the disciplines of public art, architecture, and urban planning. His projects challenge notions of the function of public art and the efficacy of mainstream urban planning and large-scale regeneration. 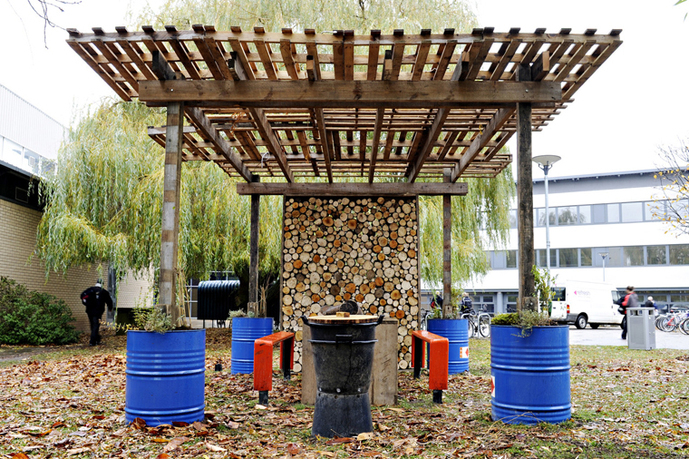 Informed by local politics and ideas on alternative economic, ecological systems and play, Norman's work merges utopian alternatives with current urban design to create a humorous critique of the discrete histories and functions of public art and urban planning. He exhibits and generates projects and collaborations in museums and galleries internationally. He has participated in various biennials worldwide and has developed commissions for SculptureCenter, Long Island City, NY; London Underground, UK; Tate Modern, UK; Loughborough University, UK; Creative Time, NYC and the Centre d' Art Contemporain, Geneva, Switzerland. 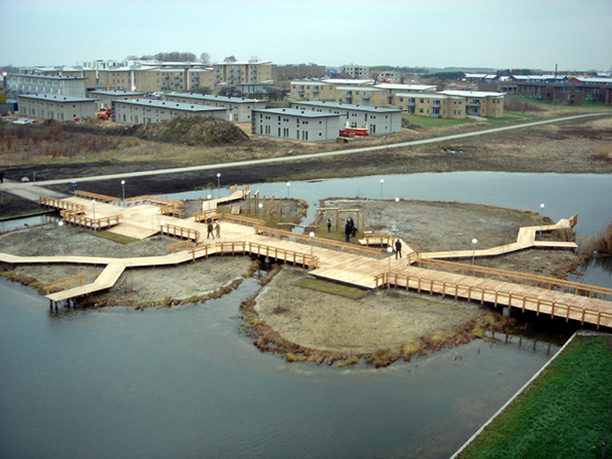 Norman is currently the lead artist for a new development in Cambridge, UK, where he is designing four pedestrian bridges, bird screens, a play area, signage, and street furniture. Additional current projects include the co-development of an adventure playground with Assemble architects in Glasgow, where Norman is organizing a Play Summit that will highlight adventure play this Spring. Norman is the author of four publications: Edible Park, Nils Norman. Eds. Taco de Neef, Nils Norman, Peter de Rooden, Astrid Vorstermans. Valiz, NL. 2012; Thurrock 2015, a comic commissioned by the General Public Agency, London, UK, 2004; An Architecture of Play: A Survey of London's Adventure Playgrounds, Four Corners, London, UK, 2004; and The Contemporary Picturesque, Book Works, London, UK, 2000. Norman is a Professor at the Royal Danish Academy of Art and Design, Copenhagen, Denmark, where he leads the School of Walls and Space. Executive director Sharon Maidenberg has been an active member of the Bay Area nonprofit arts community for more than ten years. She has focused on working with contemporary artists and the local arts community and on ensuring the long-term health and sustainability of nonprofit organizations. Appointed Headlands' executive director in March 2010, Maidenberg joined Headlands' staff as associate director in March 2007, following successful terms at some of San Francisco's most notable contemporary arts organizations, including Yerba Buena Center for the Arts, Southern Exposure, San Francisco Art Institute, and New Langton Arts, among others. Director of development Rebecca Lendl joined the Headlands team in 2012 with more than a decade of experience in nonprofit arts administration and program management. Most recently based in New York, Lendl worked with the public art organization Creative Time, as well as at MoMA PS1, the New School's Vera List Center for Art and Politics, and Artis Contemporary Israeli Art Fund. Lendl has an undergraduate degree in visual studies from the New School, a graduate degree from Hunter College, and was a fellow at New York University. Headlands Center for the Arts provides an unparalleled environment for the creative process and the development of new work and ideas. Through a range of programs for artists and the public, we offer opportunities for reflection, dialogue, and exchange that build understanding and appreciation for the role of art in society. Founded in 1982, Headlands Center for the Arts celebrated 30 years in the field in 2012.